It seems recently there has been a flurry on information on the X number of things successful people do every morning, day, or whatever period you choose to insert. Admittedly my first two books (yes, there is a third on the horizon) were based on the premise of studying success of commercial real estate professionals. No doubt, if we study success – we are more likely to implement lessons to increase our own likelihood of success. For example, I just ordered my copy of Tim Ferris’s new book, Tools of Titans, as well as Tony Robbins new book Unshakable. For no particular reason, I am going to dive into Tony Robbins book first. Consistent with the success theme, I also subscribe to Success Magazine and read their blog. One of their most recently re-posted blogs from 2014 caught my attention – 10 Things Success People Never Do Again, by Henry Cloud. I thought I would review these 10 items in the perspective of the commercial real estate broker. Whether this is a prospecting, personal presence, or presentation process – if it has not generating business for you, why continue to use the same approach and expect different results? The same with clients and prospects – if they are an emotional drain of your personal resources, don’t expect them to change. In early blogs, I dig deep into natural behaviors and how putting yourself in a position that is not consistent with your natural behaviors, will eventually lead to higher stress, less production, and certainly less happiness. Don’t force an issue that ultimately puts you in position to fail. How many of you want to change your broker, manager, associate or team member? OK, probably most of you. But you cannot. See number 2 above. Everyone is wired differently. That’s the beauty of working WITH people. Seek common ground, don’t attempt to repair what only you think is broken. First, not all clients, prospects, or even team members are equal. Back to point number 2 and 3 – be yourself and understand not everyone is going to love you, or heck, even like you. Yes, you may have your personality flaws (we all do), and you should recognize these – but ultimately you need to be true to yourself. This may be the single biggest issue with the commercial brokerage community, and why the average professional only makes a little over $50,000 net income per year. As soon as a commission comes in, it’s a new car, a new set of golf clubs, etc. There is no proactive decision to invest in the future – either through investing in their business, or investing in themselves. Remember the goals you set for yourself, your company, your family in January 2017? How about the goals you set for your future 2, 3 or 5 years ago? There is a reason we get up every day, go to work, and focus on finding, winning, and fulfilling business – and it’s not the money. It’s the opportunities to be successful (and yes, financially successful too) that drive successful people every day. You have a new prospect, you’re excited – hell, you are already counting your commission dollars. Unfortunately, your prospect is not qualified and/or their expectations are not realistic compared to market conditions. You proceed anyway. You forgo any qualification issues, and put your head down – only to find yourself months down the road wasting scores of hours and all the emotional energy you could muster, only to find you never had a chance at a closing to begin with. While many point to external factors for their current status, situation, and/or position, successful people always ask themselves – what part am I playing in this situation? Only YOU control you. This is especially true in commercial real estate, where most are independent contractors. Reflect on where you are today, and if you are not satisfied – how are you going to move you forward? Inevitably you got yourself in this position, and you will more than likely need assistance in getting to a new position. 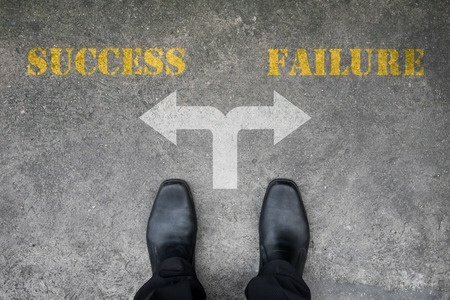 The converse is also true: people who are still trying to find success in various areas of life, can almost always point to one or more of these patterns as a reason they are repeating the same mistakes. Everyone makes mistakes…even the most successful people out there. But, what achievers do better than others – is recognize the patterns that are causing those mistakes and never repeat them again. In short, they learn from pain—their own, and the pain of others. A good thing to remember is this: pain is unavoidable, but repeating the same pain twice when we could choose to learn and do something different – is certainly avoidable. I like to say, “we don’t need new ways to fail….the old ones are working just fine!” Our task, in business and in life, is to observe what they are, and never go back to doing them again.